It is important to have a daily routine that inspires you and helps you in moving forward towards your goals. You can start the day with some exercise, yoga and meditation to sooth yourself and to realize that you have the capability to achieve what you want to. Every person likes to do different types of exercises at the start of the day. You might like to have a quick jog in the park or you might choose to do some simple exercises at home. Another good habit that you can incorporate in your daily routine is reading any motivational or self-improvement book before you go to bed. Find out what works for you and set a daily routine that provides calmness and enables you to have a happy and a clear mind. You might want to achieve big things in your life and there is nothing wrong in that but take slow and steady steps towards your goal and it will be easier for you to reach the goal. Irrespective of whether your goal is to buy a mansion, a luxury car, to lose weight, to earn lots of money, anything! Set small and measurable goals that will sum up to your dream coming true. For instance, if your goals is to lose 15 kilos of weight, set your first goal at 5 kilos, achieve it first and then set another goal for yourself. When you achieve the small goals, you feel good about yourself and this is a great motivating factor as well. [bctt tweet=”Fear is a big obstacle to your motivation power and if you look at it closely, it is just a state of mind that can be changed.” username=”Resource9_Blog”] People have fear or different types like fear of failure, fear of speaking in public, fear or heights etc. Fear is one of the biggest hurdles because of which most of the people give up on their goals. If you start telling yourself that you are going to deal with your fear and you will face it, it won’t intimidate you anymore. Believe me the only way you can deal with fear is to be aware about it and still moving ahead. You can solve all the problems in your life with self-talk. You have an inner voice that is positive at times and negative at times. Have a positive conversation with yourself and it will make you feel better. 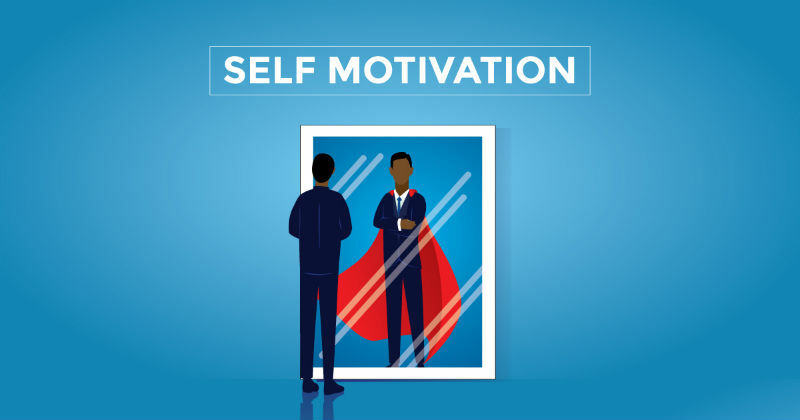 Talk to yourself about any ongoing problem, or tell yourself that you are going to achieve your goal; you can have a conversation with yourself about anything. If you feel that your friends, family members or any other people around you are on the same journey as yours, start connecting with them. When you know that there is a person who shares the same goal as yours, it easier to talk to them, you might be able to share useful advice, experiences or tips with one another. Such people are also great motivating factors that will help you to stay happy. These are some few simple things that you can do to feel confident and motivated. Try incorporating the tips mentioned above to become self-motivated. You can also get in touch with betterhelp.com for motivation tips or for online counseling that will help you to feel good about yourself and to remove the feeling of depression from your life. Previous story How To Deal With Anxiety And Fear?